This is a square curved Brazil Beer porcelain sign. This particular Brazil Beer sign is predominantly blue and white with touches of orange. 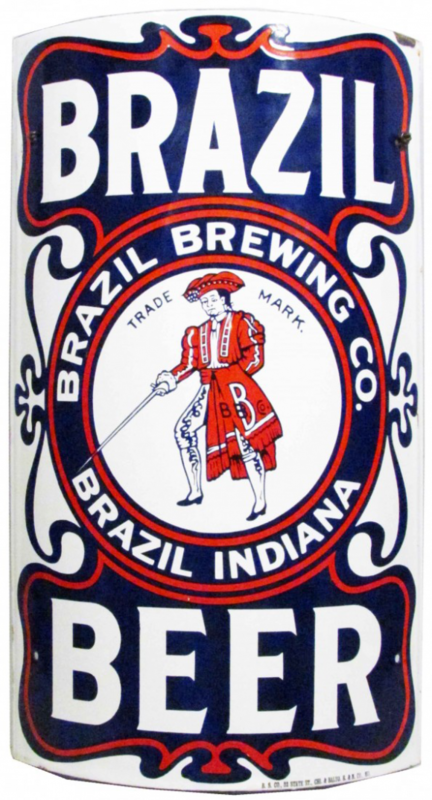 It reads, “Brazil Beer, Brazil Brewing Co, Trade Mark, Brazil Indiana” and features a matador holding a sword in the center.